Objective: For the child to be able to tell the Wordless Book story by himself. Verse: John 14:2 (KJV) - In my father's house are many mansions...I go to prepare a place for you. - Gather and place in order a piece of black, red, white, yellow, and green construction paper. Cut apart the Wordless Book Story Cards and glue the boxes on the backs of the pages so that you can read the information as you shuffle through the colors. (As you tell the story, move forward through the cards rotating the used colors to the back.) On the back of the green construction page, glue the information for "black." On the back of the black page, glue the information for "red" and so on. Use this script and construction paper to tell children the Wordless Book story. 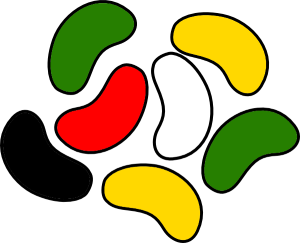 - Place some black, red, white, yellow, and green M&M's or jelly beans in a bag. Seal and add the Wordless Book Card. Have the child give the bags away and tell the Wordless Book Story. - For boys: Tell the story using colored Legos or M&M's. until the Savior came in. (White) Has washed it white as snow. I'll walk the streets of gold. Learn the tune and then change the words to match the Wordless Book. Here is my example. And we'll tell you the Good News. And I can't get in. When I trust in Him. If I read and pray. - Using a kitchen scales or balance, help the child learn that size doesn't necessarily equate to weight. - Gather various household items. Pick two items and ask the child which item will weigh the most. Always have the child explain the reason for her response. Chart the item and its weight. - Don't forget to weigh the child! 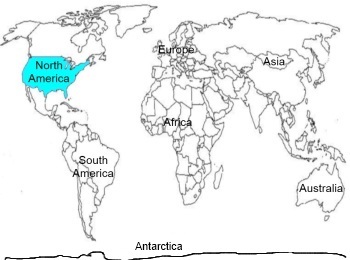 Label the seven continents - North America, South America, Antarctica, Asia, Europe, Australia, Africa - on the World Map worksheet. - Explain that a passport is an official document provided by the government that confirms who you are - your name, where you are from, and what you look like. It is used to visit other countries. Upon entering a new country, a stamp is placed in your passport. A second stamp is placed upon departing the country. Cut apart the squares in the Passport worksheet. Staple together. Add a picture of the child and fill out the information. Color the front cover. 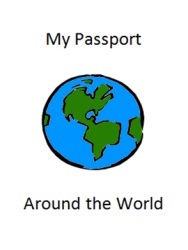 Use rubber stamps to fill the passport. Whoever You Are by Mem Fox emphasizes that Jesus Loves the Little Children. We have enjoyed learning about different European cities as we follow Dodsworth and Duck through their travels in the Dodsworth Books by Tim Egan. In Same, Same But Different by Jenny Sue Kostecki-Shaw, an American boy becomes pen pals with a boy from India. Although they have many differences, they realize that they are still very much the same. - Review the Transportation Unit in Weeks 25-28 and discuss how you pretend to travel between the countries. Line up chairs to create an airplane, train, or car. Fly, ride, or drive the child to the next country and discuss the various things that you would see as you travel. Take turns navigating. Writing a few a day, write the uppercase letters on the ABC Uppercase Letter worksheet. Available in the ABCJLM Handwriting Workbook. Write numbers 0-40 on 3/4" Tracing Paper. Write a few numbers each day. Many books are made into movies. Hermie: A Common Caterpillar is an example. Most movies take liberties that add to, subtract from, or otherwise change the original story. Discuss the differences between the movie and the book. - View Hermie: A Common Caterpillar, a video that expands the message of the book. 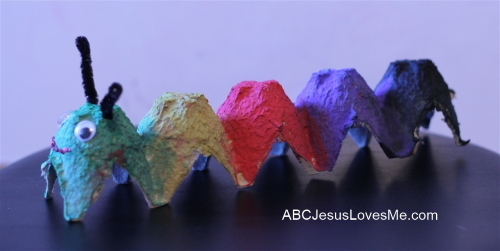 Make a "Gospel Fuzzies" glove to match the Wordless Book. 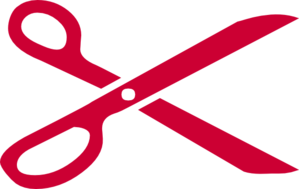 Have your child trace his hand on construction paper and cut it out using safety scissors. Glue the correct pompom on each finger. Point to the finger as you tell the story or sing the songs.